Sheetmusic-free.com is in compliance with 17 U.S.C. 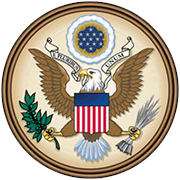 § 512 and in the Digital Millennium Copyright Act (“DMCA”). It is our policy to respond to any infringement notices and take appropriate actions under the Digital Millennium Copyright Act (“DMCA”) and other applicable intellectual property laws. If your copyrighted material has been posted on Sheetmusic-free.com or if hyperlinks to your copyrighted material are returned through our search engine and you want this material removed from this site, then you must provide a written communication that details the information listed in the following section. Kindly be aware that you will be liable for damages (including costs and attorneys’ fees) if you misrepresent information listed on our site that is infringing on your any copyrights. We suggest you that first contact an attorney for legal assistance on this matter. * Provide an evidence of the authorized person to act on behalf of the owner of an exclusive right that is allegedly infringed. * Provide sufficient contact information so that we may contact you. You must also involve a valid email address. Important Notice: Our services do not store and do not host any content on their servers. This site only contains download links from 3rd party sites by individual users which are freely available on all over the Internet. We are not affiliated in any way with those 3rd party sites nor responsible for their content. All content is copyright of their respective owners. We are take not any guarantee of the content on Sheetmusic-free.com, we always shared those content only for Testing purpose not for commercial use.